During the last few decades, 3D scanning devices and 3D digital image generating technology has been developed to the point where they significantly reduce errors and time during data collection thus making them highly appropriate tools in the field of archaeology. With regards to surveying, terrestrial laser scanning and digital photogrammetry, they are a viable alternative to traditional methods for measuring. Nevertheless, these technologies are rarely used in projects in the Maya region, even though they offer a wide range of applications, which could be explored and utilised in this subtropical environment. This paper presents the results of digital surveying involving two Maya archaeological sites in Guatemala: La Blanca and Chilonché, as well as demonstrating their effective application for “investigating into the past”. Over the past two decades, the development and improvement of 3D acquisition through the use of active sensors (in particular those based on laser scanner technology) and more recently the use of passive sensors (Structure from Motion applications) have so far proven to be the best solution for performing rapid surveys of monuments, historical buildings and archaeological remains without actually physically coming into contact with the surfaces. Pioneering experiments began in the 1990s, including both 3D reconstructions of the archaeological remains (cf. Anfiteatro Flavio 1994–1998) as well as the analysis of architectural façades and the analysis of sculptural complexes (Levoy et al., 2000). 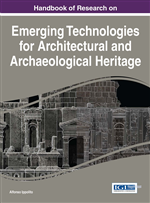 Since then, several archaeological sites from around the world have made use of these technologies for different purposes, resulting in a profuse quantity of literature documenting the results of these experiments (Balzani et al., 2004; Lambers et al., 2007; Frischer & Dakouri-Hild, 2008; Reindel & Wagner, 2009; Guidi et al., 2009; Rüther et al., 2009; Benedetti et al., 2010; Stanco et al., 2011; Guidi et al., 2013, 2014). At Tikal and Chichén Itzá in the Maya region, CyArk developed on-the-ground laser-based scanning (Powell, 2009). Its aim is to produce an open access digital archive of World Heritage sites to be preserved or used for educational purposes. Copan, in Honduras, has also been chosen to test and demonstrate the capabilities of “QueryArch3D”, another tool that enables the web-based visualization of interactive multi-resolution 3D models (Agugiaro et al., 2011; von Schwerin et al. 2013, Auer et al., 2015). However, while both being remarkable propositions, these technologies were not conceived for archaeological analysis nor for other scientific applications during archaeological excavations. Laser-Scanning Technology: Taking advantage of active sensors, the reflection of laser light is used to compute the distance from a surface. Generally every second up to 1 million spatially accurate sets of three coordinates are collected. The millions of points computed are used to produce a point cloud, which defines the geometrical surface of an object. Normal Map: In the field of 3D graphic, normal map is a special kind of image that allows adding surface details to a low-poly model. It represents in fact how light behaves, simulating the aspect of a high definition model. Passive Sensors: In the field of digital survey, a passive sensor is a device that measures natural energy of the light (like Structure from Motion applications). Total Station: An electronic theodolite integrated with an electronic distance meter to read distances from the instrument to a particular point. Camera Re-Sectioning: The process of finding the true parameters of the camera related to a certain photograph. Reflectance Value: The visible light that is reflected from a surface when illuminated by a light source, like one emanated by a laser. Reverse Engineering: In the field of digital survey, reverse engineering is a process which allows duplicating an object starting from the analysis of its physical size. Digital Photogrammetry Applications: Methods based on the metric elaboration of images that use collinearity equations, starting with the definition of homologous points identified on the photograms, and then transforming the data acquired from the images into 3D coordinates. Active Sensors: The field of digital survey, an active sensor is a device that uses a coded electromagnetic radiation (like laser) in the measurement process. An active sensor that employs a laser is generally called range camera or laser scanner. UV Map: In the field of 3D graphic, it is a 2D image that contains the unwrapped faces of a 3D model. The UV mapped version of a mesh may be used for encoding the “apparent colour” and the “normal vectors”. (u,v) Reference System: in the field of 3D graphic, (u,v) is a bidimensional reference system used to describe a 3D object.